I don’t know if you guys remember this, but a few years back I had the opportunity to meet Iris Apfel while I was on a tour of UT’s fashion program in New York! In addition to being a true style icon and innovator, she’s kind, genuine and one of the wittiest people I’ve met in my lifetime. If I’m even half as chic and as much of a firecracker as she is when I’m that age, I’ll consider that a success. If you don’t know much about Iris, you must at least know her by her telltale round, thick-frame glasses and layers upon layers of chunky jewelry. You might as well call that her signature – I’ve never seen a picture of her without them! Iris recently collaborated with Macy’s own brand INC International Concepts to curate a line of jewelry so that you can recreate her look yourself, and at a very reasonable price point! A few of my favorites? 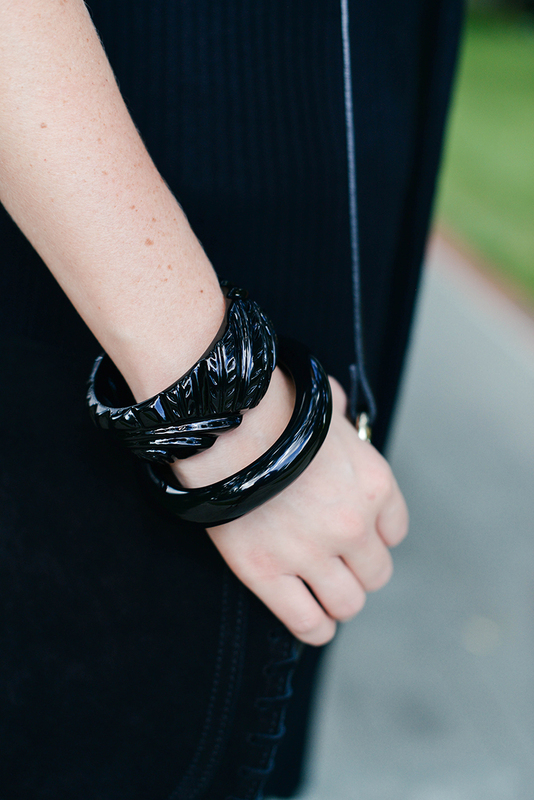 This carved black bangle and this oblong bracelet – perfect for layering like Iris! She’s also sharing her favorite pieces from the INC fall collection here, featuring some of the pieces I’m wearing in today’s post! This long-line cardi is such a great transitional piece – so cozy and easy to style! Try belting it over a dress for a wear-to-work ensemble, or wear with leather leggings and heels for date night later this fall. 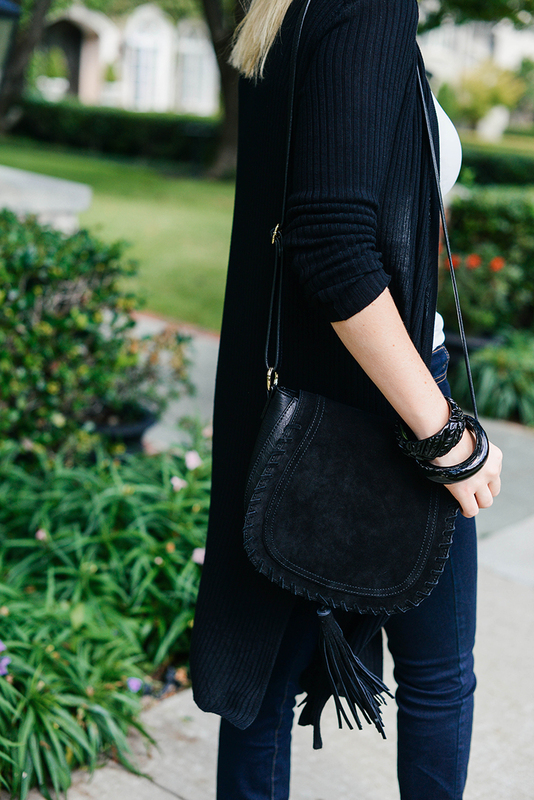 Also loving this saddle bag – it’s got a very luxe look at such a great price point. 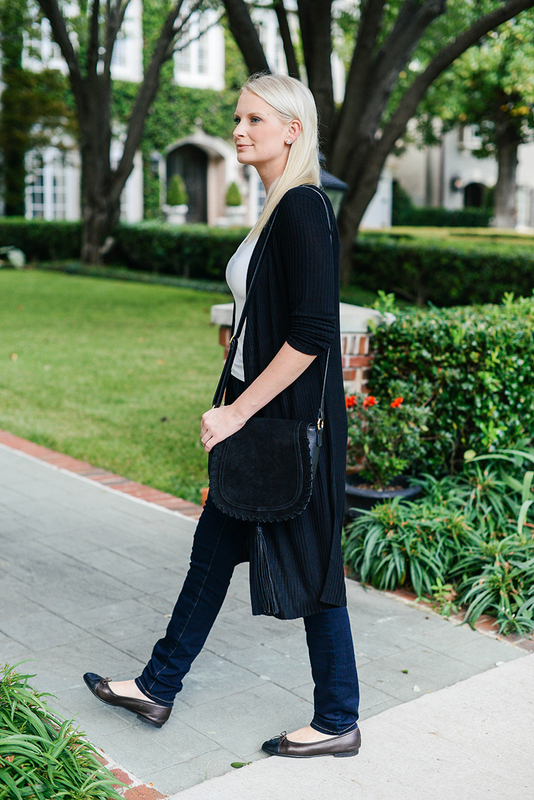 The crossbody style is my favorite for travel, and this one is super spacious! Click here to discover and shop the IRIS x INC collection, only at Macy’s! 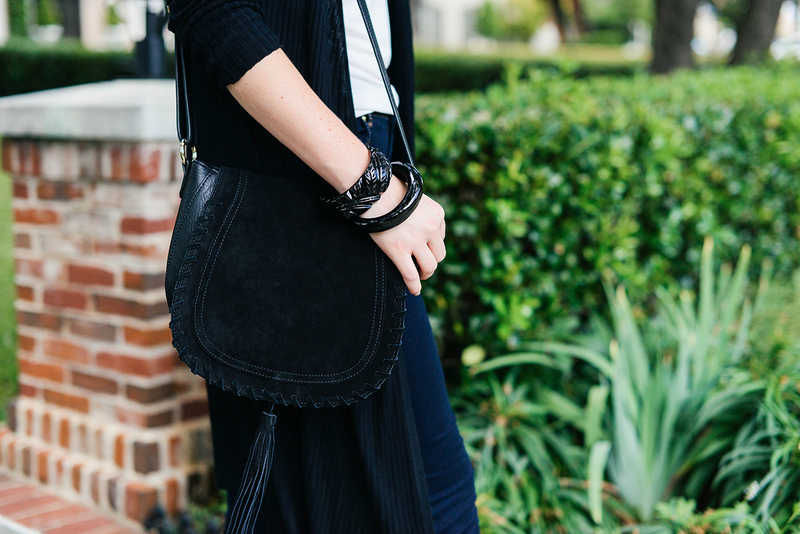 Those bangles are so classic – loving the tassel bag, too! Happy Sunday, lady! How cute! And girl I’m loving the shopping features in this post!